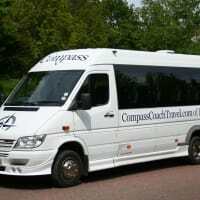 Compass Coach Travel is a family-run coach hire business based in Bangor, County Down, Northern Ireland. 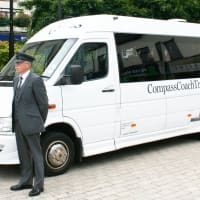 Providing the highest standard in small coach safety, comfort and service, Compass Coach Travel operates a luxury 16-seater Mercedes-Benz coach. 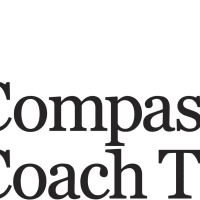 Compass Coach Travel offers a wide range of coach travel services in the County Down and greater Belfast areas and beyond, with the option of a door-to-door service or central pick-up point. 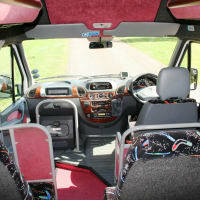 *parcel shelf and ample boot space for luggage. 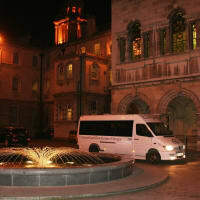 Couldn't believe how reasonable David's price was in comparison to other coach hire companies! 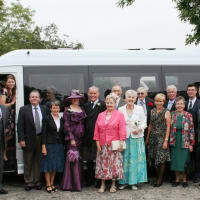 He took a group of us on a hen party from Bangor to Dublin, staying overnight at the weekend and was such a gentleman! 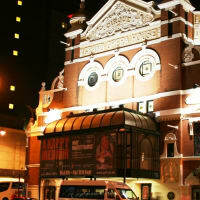 The communication and booking was fantastic, a very professional and friendly service. 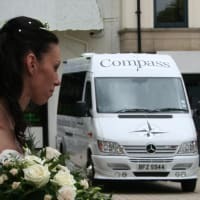 David even decorated the bus with hen party banners for us and turned up in a chauffeur's suit and hat - such lovely touches and a very obliging man! 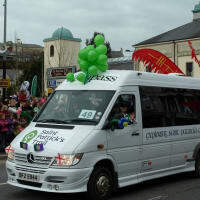 He even took a detour to leave one of the hens home to Belfast. 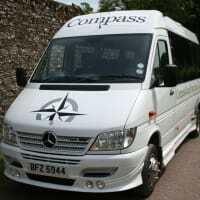 Would recommend Compass Coach Travel to anyone and will certainly book David again - thank you so much! 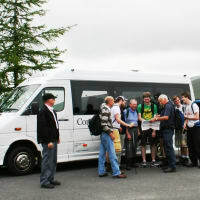 Used Compass Coach Travel last weekend and can't praise David who drove 10 ladies on their annual girly trip away to a cottage in the Mournes. 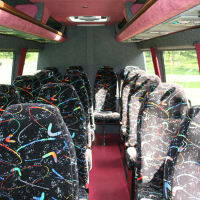 He is very professional, prompt and very reasonably priced..... Not to mention the clean, comfortable bus! 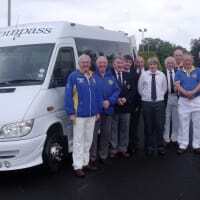 David picked our golf society up from Belfast City Airport, took us to 4 beautiful courses over the next 4 days. Ferrying us between courses and hotels with efficiency (always on time) and a smile. Nothing was ever too much trouble, as he repeatedly unlocked and locked the trailer with our golf bags. 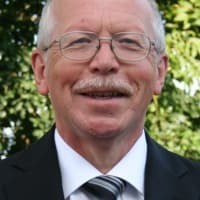 He even came back from home to a course once when one of the party had lost a key. 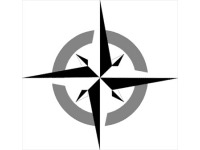 I cannot fault this company, they also acted as a tour guide as we were travelling the surroundings of Belfast.